Join the St. John CYBERKNIFE Cancer Center for one of the following annual events. For more information, please call the St. John PulseLine at 918-744-0123 or click the links below. Celebrating the Art of Healing is a day of promise and hope for newly diagnosed patients, survivors, families, friends, caregivers and professional oncology specialists. Celebrating the Art of Healing highlights activities that enhance and enrich the quality of life for those who face the challenges of cancer. All levels of ability are invited to participate in our breakout sessions where local professionals help participants access the unique potential of the human spirit. St. John is proud to sponsor an annual mini Relay for Life with the American Cancer Society. The event is held at the St. John Siegfried Health Club, at 1819 E. 19th Street on the St. John Medical Center campus in Tulsa. The event begins with a survivors’ reception followed by a condensed, four-hour relay. 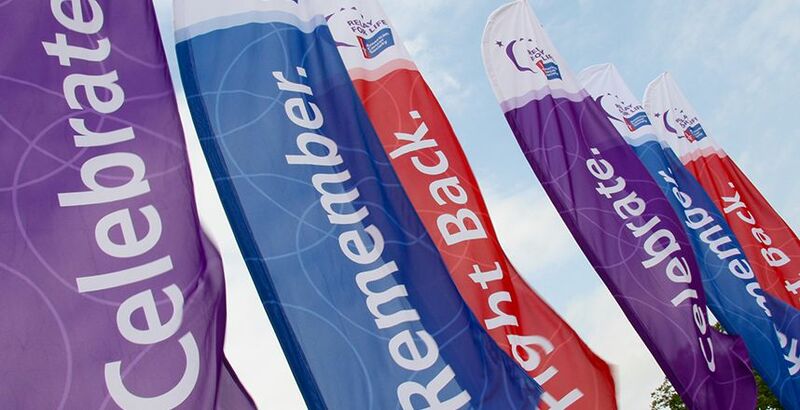 The mini relay includes many of the powerful ceremonies and activities held during the outdoor Relay for Life, however the event is held indoors and during the day to allow more survivors and caregivers to participate. Join the LaFortune Cancer Center for the annual Holiday Hope and Heart, a celebration for cancer patients, survivors and caregivers. This fun holiday event includes manicure and massage booths, cancer prevention and nutritional information, craft tables, gift wrapping stations, door prizes, food and photos with Santa. Join the LaFortune Cancer Center at the annual Susan G. Komen Race for the Cure, benefitting breast cancer research. Before the race, stop by the St. John health education booth to learn more about our cancer treatment and survivor services. Visit the St. John PulseLine to find current dates for these events and information on event participation.